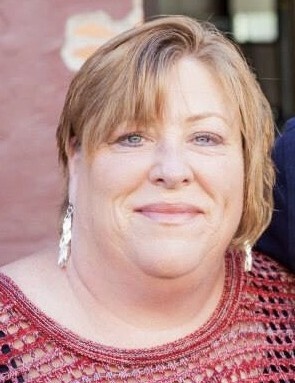 Obituary for Tamra Mary Oelke Fort | Smith Mortuary, Inc.
Tamra Mary Oelke Fort, 55, of Muldrow passed away Sunday, February 10, 2019 in Fort Smith. She was born March 31, 1963 in New Prague, MN, the daughter of the late Leith Oran and Marilyn Fredricksen (Oelke). She was an accountant. Survivors include husband, Matthew of Muldrow; three brothers, Gary Oelke and wife Peggy of Salem, IL, Larry Oelke and wife Helen of Muldrow, OK, and James and wife Kim Oelke of Fayetteville, AR; nieces; Kelly Schubert and Kathryn Ruggles, nephews, Cory Oelke and wife Jessica; Matthew Oelke and wife Marjorie; Wesley Oelke and wife Sara; and her great nieces and nephews, Madison, Mason and Maci, Audrey and Addison and Ethan Oelke, Elliot and McGregor Crouse; sister in law; Melea Crouse and husband Robert; and several fur babies. Funeral service will be held 1 PM Saturday, February 16, 2019 at First United Methodist Church Charleston, AR with interment at Garden of Memories. Family will receive friends, Friday, 6:00 p.m. – 8:00 p.m. at Smith Mortuary Charleston, Arkansas. Memorials may be made to AHIMSA Muldrow Chapter, Animal Rescue www.ahimsarescuefoundation.org.